LAS VEGAS – Deep brain stimulation (DBS) provides motor and nonmotor benefits at 6 months, 1 year, and 2 years after implantation in patients with Parkinson’s disease, according to a large-scale collection of outcome data. The treatment improves motor function and quality of life and has an acceptable safety profile. The analysis was presented at the annual meeting of the North American Neuromodulation Society. Research by Okun et al. in 2012 and Schuepbach et al. in 2013 demonstrated that DBS effectively reduces the motor complications of Parkinson’s disease. To monitor the treatment’s efficacy and safety on a large scale, investigators established a prospective registry of patients with levodopa-responsive Parkinson’s disease who underwent DBS implantation. An aim of the registry is to improve understanding of the clinical use and outcomes of DBS in this population. As many as 1,000 patients have been implanted with Vercise DBS systems at 70 international sites. These systems enable multiple independent current source control. Participants presented for clinical visits at 3 months, 6 months, 1 year, 2 years, and 3 years after surgery. Jan Vesper, MD, PhD, professor of neurosurgery at Heinrich Heine University in Düsseldorf, Germany, and his colleagues analyzed patient outcomes, including the Parkinson’s Disease Questionnaire (PDQ-39), Movement Disorder Society Unified Parkinson’s Disease Rating Scale (MDS-UPDRS), Clinical Global Impression of Change (as assessed by the patient, caregiver, and clinician), and the Schwab and England (SE) scale. The researchers also reported adverse events. As of November 2018, 403 participants had been enrolled in the registry, and 359 had undergone DBS implantation. At baseline, mean age was 59.6 years, and approximately 70% of participants were male. Mean disease duration was 10.4 years. Without medication, mean MDS-UPDRS III score was 44.8, and mean PDQ-39 Summary Index score was 28.8. At 1 year, participants’ mean off-medication MDS-UPDRS III score was 29.7. This result represented a significant 34% improvement in motor performance. 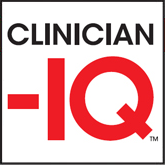 PDQ-39 Summary Index score was improved by 6.7 points at 6 months, 4.7 points at 1 year, and 3.0 points at 2 years, which represented a sustained benefit for participants’ quality of life. Improvements in activities of daily living were sustained throughout the 2-year period. Cognition was improved at 6 months, but not at subsequent visits. Mobility, stigma, and bodily discomfort were improved at 6 months and 1 year, but not at 2 years. Furthermore, more than 80% of patients, caregivers, and clinicians observed improvements in Parkinson’s disease symptoms at all time points. The investigators did not find any unanticipated adverse events. In all, 217 serious adverse events occurred in 121 participants. Of these events, 60 were related to stimulation. No lead fractures or breakages occurred. “This registry represents the first large-scale collection of outcomes using a DBS system capable of multiple independent current source control,” said Dr. Vesper and colleagues. The investigators did not report any conflicts of interest.